The new airslide fabric (air slide canvas) is developed by our factory adopts advanced technology.Air sliding fabrics are used for pneumatic conveying of fine dry products such as cement and other raw materials. 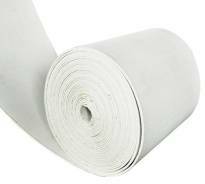 Airslide fabric is a solid fabric used for air sliding. 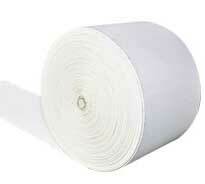 It is suitable for pneumatic transportation of powdery materials such as cement and alumina. It is also suitable for pneumatic conveying devices of other powder and granular materials. An Airslide belt is in the middle of a chute. Powder material will come into the chute above Airslide belt. Material will flow to the chute lower side as pneumatic blower down Airslide belt.The product is spread between the material and the air chamber, the following is the gas chamber, the above is the material, under the action of air pressure through the product, the material fluidized, so as to achieve the purpose of transport. Our air slide fabric is named as fluidising fabric,Airslide fabric, Air slide cloth,fluidizing fabric,aeration pad,aeration fabric,air permeable fabric, Air slide canvas, Air Slide Belt Fabric,air slide fabrics and Fluidization cloth, Fabrics for Air Slides. Specifications: B250mm, B270mm, B480mm, B580mm; other air slide fabric specifications between 10mm to 1600mm can be produced at any time according to user needs; more than 1600mm of special specifications to be agreed in advance. Lenght (m)：20-100. Width (m): 0.1-1.6 Thickness: 5-6mm. 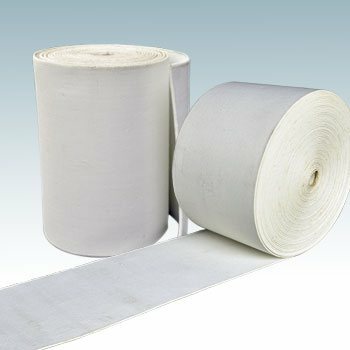 Air slide fabric is also named Air slide canvas, Air slide belt fabric, Complete set aero cloth，air slide fabrics, air slide fabric, Solid Woven Air Slide Material, Air permeable fabric, Pneumatic conveyor belt,Aeration pad, Fabrics for air slides. 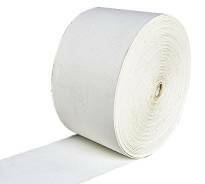 With a special and controllable air permeability, air slide fabric can help to improve the convey efficiency and also guarantee the mixed powders uniformity. When powder transfering, the air slide fabric combined with pressed air in flume make the dry powder become to fluid particles, so the equipment won't be damaged from abrasion, can reduce many repair works. Further more, for the particles be transferred in air tight flume, they won't lost when transferred, it can help to save the cost, and won't pollute the environment. Specific parameters please click here. 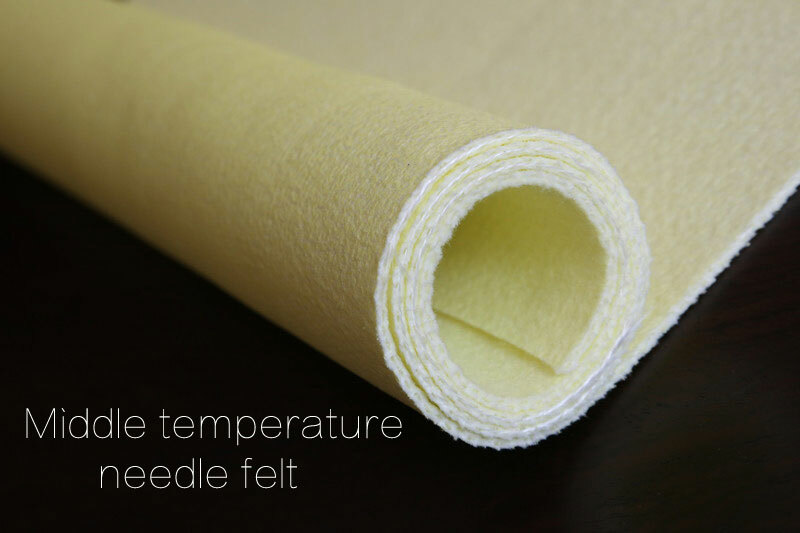 Depending on the customer`s request, we can offer air slide fabrics(fluidizing fabric) made of different grades of airpermeability and thickness,depending on the application. An Airslide belt is in the middle of a chute. Powder material will come into the chute above Airslide belt. Material will flow to the chute lower side as pneumatic blower down Airslide belt.The product is spread between the material and the air chamber, the following is the gas chamber, the above is the material, under the action of air pressure through the product, the material fluidized, so as to achieve the purpose of transport. The air slide fabric requires special looms, the air slide fabric(aeration fabric) is heavy enough and the performance is strong. 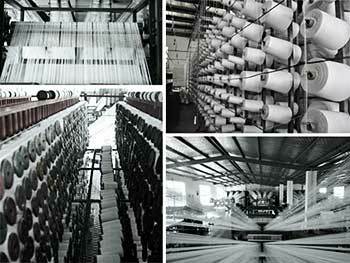 Solid woven fabrics from polyester staple fiber as raw material, by the integration of heavy looms, weft intertwined. 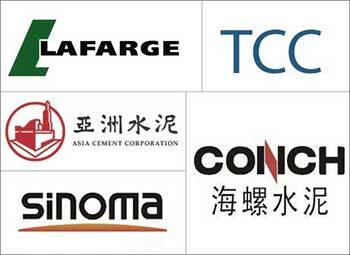 We maintain a long-term and stable cooperation relationship with Lafarge, TCC, Asia Cement , Onoda Cement, Conch Cement, Tianshan Cement.Long-term supply of air slide fabric. China Sunrise Machinery (CSM)is designated as OEM for Lafarge and also maintain long-term cooperation with SINOMA. Main product of our textile division are industrial filter bags,Air Slide Fabrics,Needle Punched Felt,Bulk Loading Bellow,Cement Bulk Bag and so on.They have been directly or indirectly used in hundreds of cement production lines worldwide. China Sunrise Machinery(CSM) is also the leader of cement auxiliary machinery industry in CHINA. Industrial filter bags,Air Slide Fabrics,Needle Punched Felt,Bulk Loading Bellow are just some of our products.More than 100 world-renowned companies such as Lafarge, TCC and other selected our products. 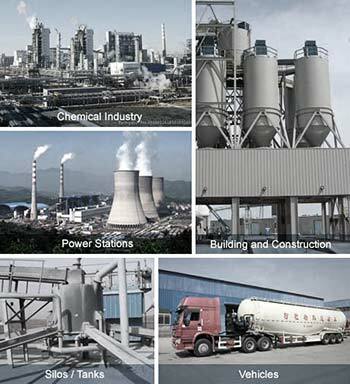 China Sunrise Machinery (CSM)is a professional cement equipment manufacturing enterprise. We were named one of the "China Machinery Industry's Most Famous Brands”. All the cement machinery products have passed three standard embraced in one system, consisted of ISO9001, ISO14001, and OHSAS18001. Five types of the products have get European CE certification, meanwhile it owns about 30 patented products &high-tech products. 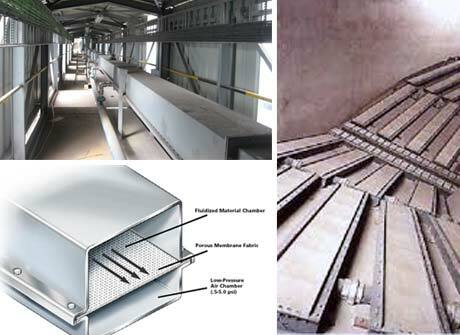 Air slide fabrics are used for the pneumatic conveying of fine dry powdery products such as cement. The air slide cloth divides the air slide into upper and lower chambers. The chamber is inclined at as low as 1.5°.Compressed air is injected into the lower chamber which then goes through the media and “fluidises” the cement powder. The cement then behaves like a fluid and “flows” down the length of the chamber. 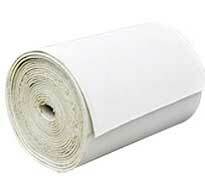 Airslide is a semi-permeable textile cloth which allows air to pass through but not the products. 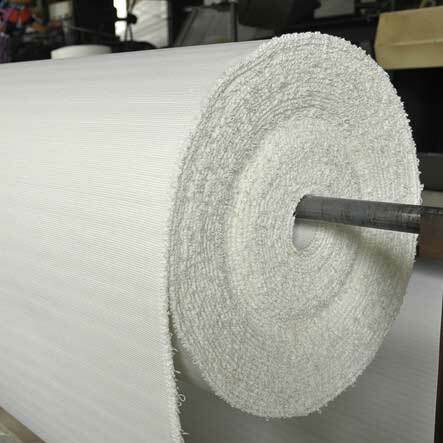 Airslide Fabrics other names are: airslide fabric,air slide fabric,air permeable fabric,fluidising fabric,fluidizing fabric,air slide belt,air slide canvas,aeroslide,airslide membrane,aeration pad, aeration fabric.air slide fabric in shipping,air slide fabric for silos,chute bottoms.